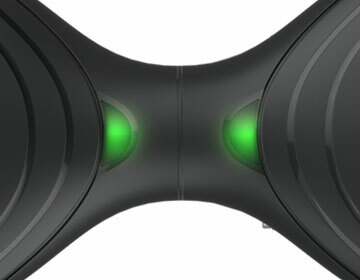 The IO HAWK is a state-of-the-art mobility device that allows you to move around in the same way. He uses digital electronic gyroscopes and acceleration sensors and balances himself. The user is thus able to intelligently control the device by shifting the weight, depending on the user's center of gravity shift. 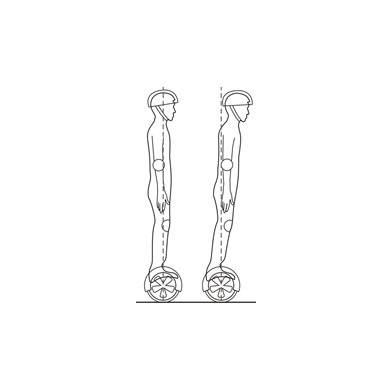 The dynamic stability system thus supports the user and prevents a tip-over. If the center of gravity of the body is tilted forwards, you will accelerate and you will simply lean backwards for deceleration. 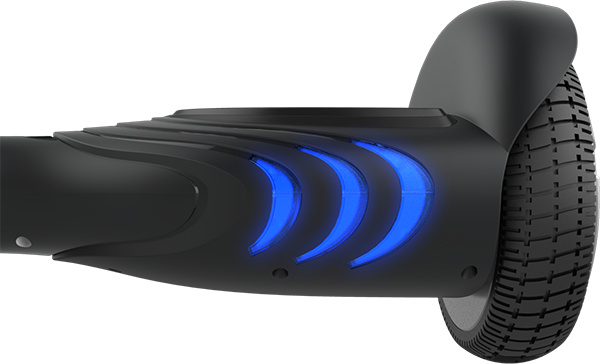 Despite all the built-in safety measures, we recommend wearing protective gear when driving with the IO HAWK. The IO HAWK can also be operated with a wet road thanks to the dust and splash water protection according to the IP54 standard. The profile strips give good hold even in wet soil. The IO Hawk APP for IOS and ANDROID allows you to control your IO Hawk Two combined with many additional features. Of course you can also switch your device on and off via the app. 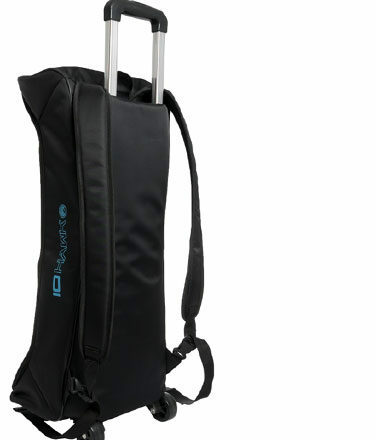 For the IO HAWK Two you can purchase the IOHAWK bag as an option. 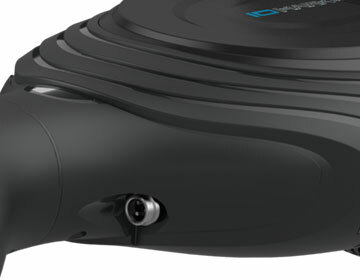 With the IOHAWK trolley you have the possibility to transport your IOHAWK Two quite easily, eg in places where you can not drive. The 6.5 inch bag has rolls and additionally you can wear it as a backpack. 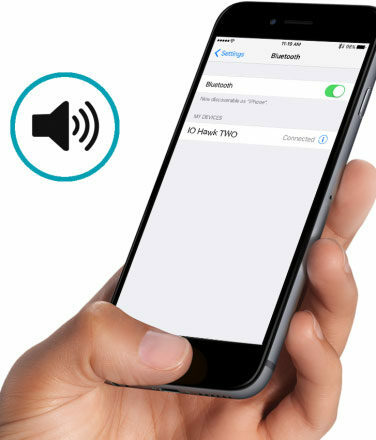 Connect your Smartphone wirelessly with the IO Hawk Two and enjoy your music on the go! 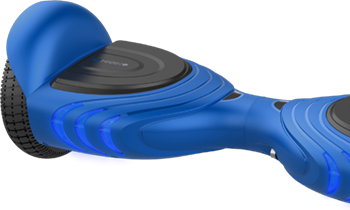 The IO Hawk Two has two splash-proof loudspeakers on the bottom, which allow you to listen to your favorite music even while driving! 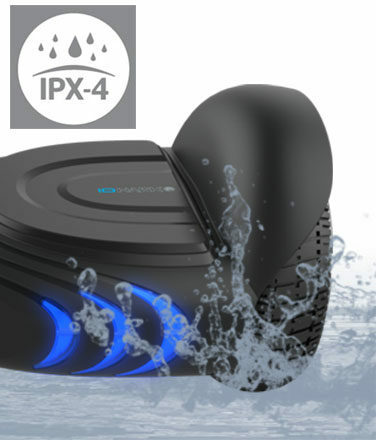 The IO Hawk Cross Mini is protected against all-round splash water according to the IPX-4 standard. So you can also resist a short rain shower. 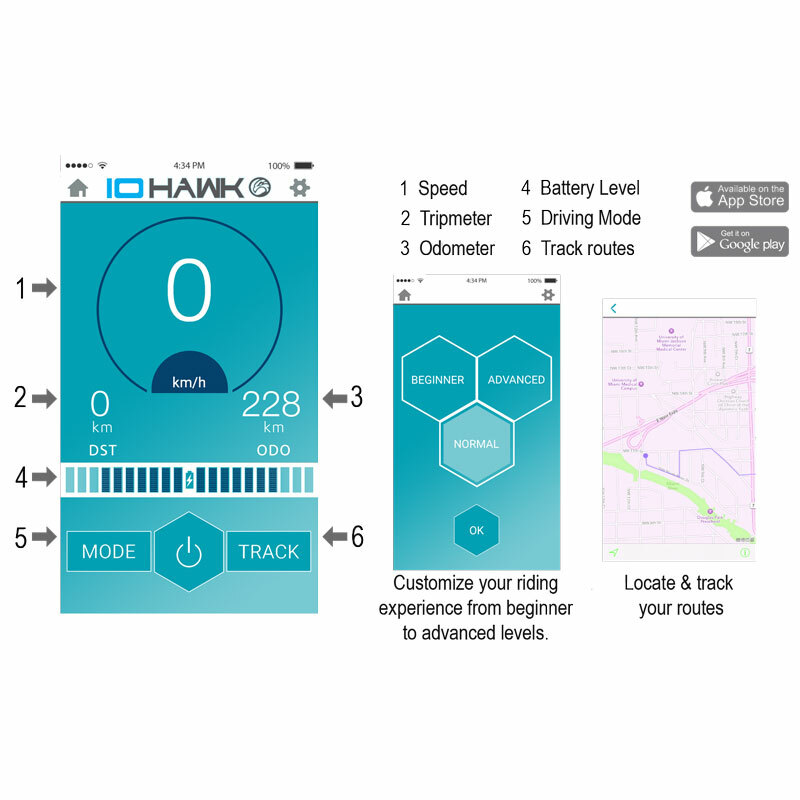 The IO Hawk APP for IOS and ANDROID allows you to control your IO Hawk Two. Of course you can also switch your IO Hawk Cross Mini on and off via the app. 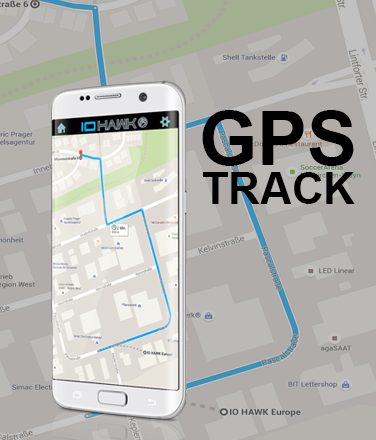 The IO Hawk APP for IOS and ANDROID allows you to record the routes of your IO Hawk Two. 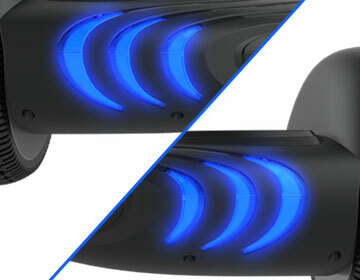 The platform of the IO HAWK is equipped with 2 LED front headlights for your own safety. Furthermore, the IO HAWK Cross has red taillights. When driving curves, the corresponding arrow-shaped tail lamp indicates the direction. These worries for maximum safety. Stylish rims make the IO HAWK TWO a real eye-catcher. It offers a top speed of 12km/h. Because of its small size you can take it everywhere and enjoy the new way of moving. 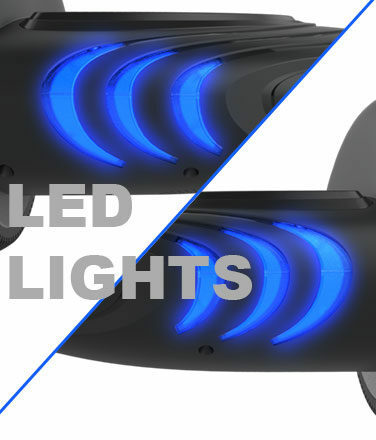 The platform of the IO HAWK is equipped with 2 LED headlights for your own safety. 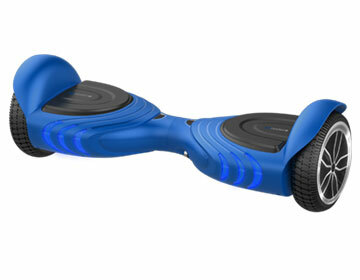 The IO HAWK has 2 rubberized stands, which ensure maximum stability. The device can be controlled by means of digital electronic gyroscopes and acceleration sensors by means of weight shifts. The powerful battery has a range of 12 km. The recharge lasts only 2-3 hours. 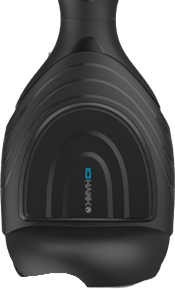 The status LEDs of the IO HAWK Two inform you about the current state of the battery and indicate if a malfunction is present. The IO Hawk Two has stylish LED headlights at the front and rear. With your own app for Apple & Android, you can choose the desired speed mode, watch the speed live and track the distance traveled. 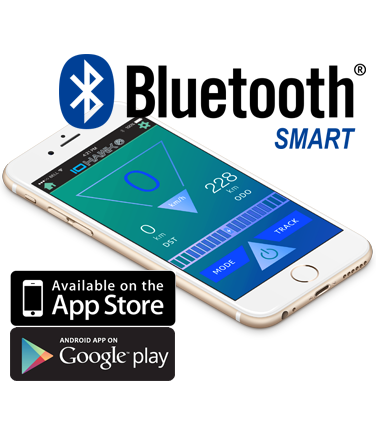 Use Bluetooth to stream your music. We give a two-year warranty on the IO Hawk Cross. We deliver our DPD logistics partner across Europe. You will be automatically informed by us when your order leaves our logistics center. Of course with tracking number, so you can track your order.